Sarasota’s argument is reminiscent of a Detroit argument in the ‘80s over the “Monument to Joe Louis” installed nearly two decades after the Detroit rebellion of 1967 (said to be the most violent civil disobedience in American history). Objections to the image combine both its location in a minority neighborhood and its image of two hands with the words “fast life” spelled out on the fingers. Some see this as some sort of gang-related message. I’ve seen this movie before. Like the Tube Dude plant mural, the focus of the debate in Detroit was over image and location. The image: a cast bronze 24-foot-long forearm with an ungloved clenched fist thrust through a 24-foot-high pyramid of four steel beams. The location: a busy intersection in downtown Detroit. Better known as “The Fist”, the sculpture prompted an immediate furor. The Detroit Free Press reported that either people saw it as a reminder of urban violence in the city – often referred to as “Murder Capital of America” – or as a fight against violence. Whether in Detroit or Sarasota, the pros and cons are understandable. 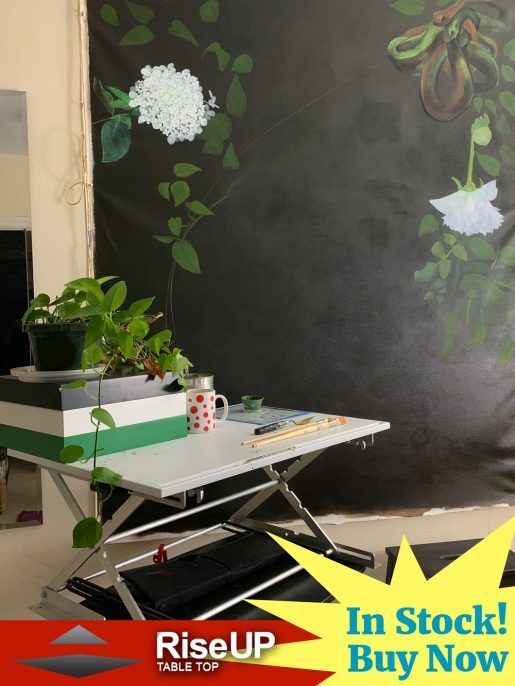 But here’s the thing: public art is not like art in the home. Its purpose is not to match the taste of the homeowner. Public art is not, after all, sofa art. 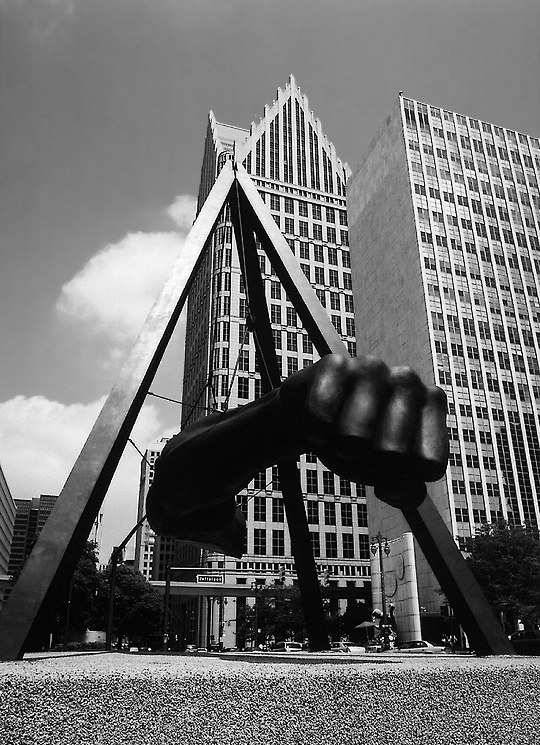 By the way, “The Fist” is noted these days on the city of Detroit’s website as a sightseeing attraction.